Help us fund our amazing Interfaith Staff! October of 2016 Interfaith Sanctuary left federal funding to move to private donations only. We did this so that we could remain true to our mission and our guests. Funding often comes with strings that cause non-profits to re-create themselves over and over again to get those dollars to their organizations. 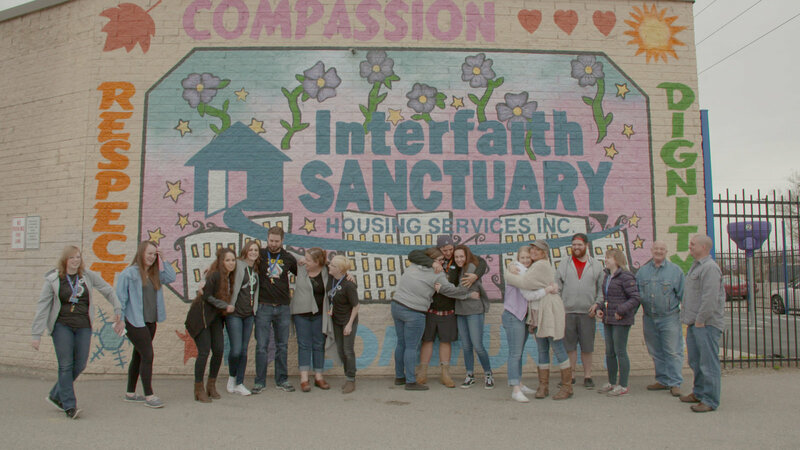 Interfaith Sanctuary is determined to remain focused on the work we have promised to our homeless guests. We have a team of case managers that support our guests one step at a time to help them get back their strength, health and self-sufficiency to hopefully move out of our shelter to a better life. As the development director, I am charged with the task of raising the dollars necessary to shelter our guests, pay our staff, cover the hard costs of the day to day operations of our shelter, provide funding for special programs to help our guests in their recovery and to constantly be creating ways to improve the lives of our guests while they are with us at the shelter. Interfaith Sanctuary needs funding to pay our staff. I write this blog today in hopes that we can get more of our community to donate to our shelter in a very sustainable way, become a recurring donor. Donors can choose to donate monthly an amount that makes sense for them. Shelter costs $12 per night for each of our 164 guests. Donors can donate $12 a month to help us cover one night of shelter. ID replacements cost $10 per guest. Perhaps you would like to cover the cost of one ID or 10 ID’s per month. The cost for a family of four to receive a night of shelter is $48. Would you like to sponsor one family a week or month? Whatever way you choose to help means so much to our staff and guests. It is very easy to sign up. Go to www.supportingshelter.org and choose your level and frequency. We need to raise an additional $100,000 to help us cover our end of year costs for 2016-17. Our calendar year ends on June 28th. Can you help us?